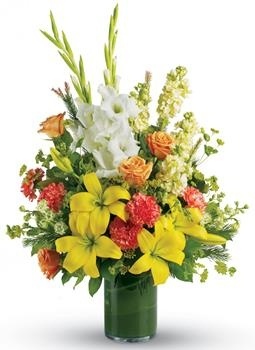 create a bright, heart-warming tribute to the special person who lit up everyone?s lives. 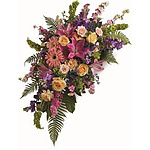 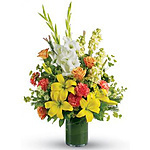 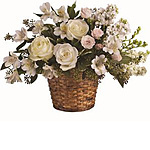 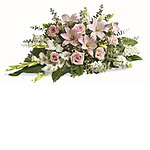 Send a stunning leaf lined vase arrangement of golden lilies, white gladiolus and peach roses. 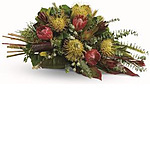 Unfortunately there is only 0 of Fond Farewell left in stock.